Istvan Ujhelyi MEP (Hungary), Arnaud Feist, President of ACI EUROPE and CEO of Brussels Airport Company, Gesine Meissner MEP (Germany), Franck Proust MEP (France) and Olivier Jankovec, Director General, ACI EUROPE. On 20 January, ACI EUROPE held its annual New Year Reception in the European Parliament, hosted by Gesine Meissner MEP (Germany), Franck Proust MEP (France) and István Ujhelyi MEP (Hungary). 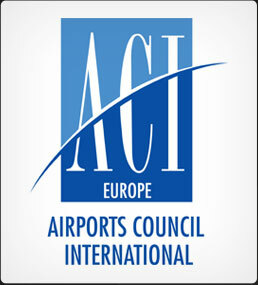 This year’s event was attended by more than 150 people, including members of the Board of ACI EUROPE, Chair & Vice-Chairs of ACI EUROPE Committees, key representatives of the European Commission, and 16 Members of the European Parliament (MEPs) from the Transport & Tourism Committee. There were also representatives from EUROCONTROL, SESAR and various others from across the aviation sector, including airlines, air traffic management and manufacturers. 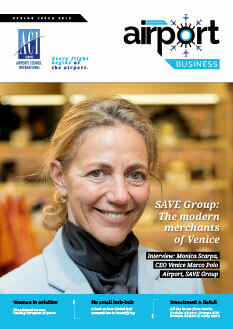 Dr Michael Kerkloh, CEO of Munich Airport & President of the German Airports Association, with Emmanuelle Maire, Head of Unit for Airports at DG MOVE, European Commission, and Olivier Jankovec, Director General, ACI EUROPE. 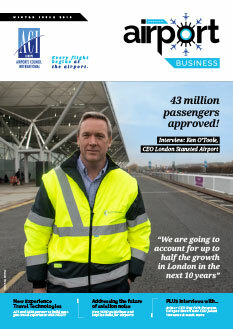 The event also served as the occasion for the release of a new study on the Economic Impact of European Airports (see page 16 for article on this). 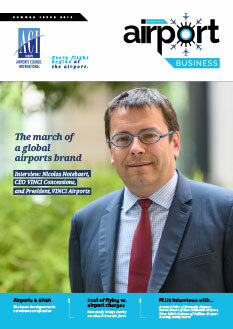 The study, conducted by InterVISTAS at the request of ACI EUROPE, independently quantifies and documents the economic contribution of the airport industry. 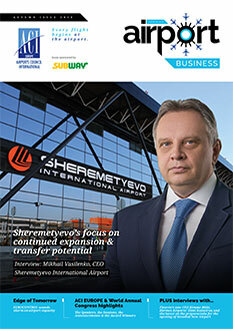 A special ACI EUROPE synopsis publication entitled The Impact of an Airport was also released. Olivier Jankovec, Director General ACI EUROPE, with Athar Husain Khan, CEO of the Association of European Airlines. Dieter-Lebrecht Koch MEP and Sabine Hornigs of IATA with Margus Rohuaja, Director of Aviation & International Transport Affairs at the European Commission. Zmago Skobir, Chief Executive, Aerodrom Ljubljana, with Daniel Buda MEP (Romania) and David Ciceo, Managing Director, Cluj Avram Iancu International Airport & President of the Romanian Airports Association. Alberto Martin, Director of Aenaʼs Gran Canaria Airport & Vice-Chair of the Regional Airportsʼ Forum; Fernando Echegaray, Director of Spanish Airports Network at Aena; Ines Ayala Sender MEP (Spain); and Arnaud Feist, President of ACI EUROPE and CEO of Brussels Airport Company.